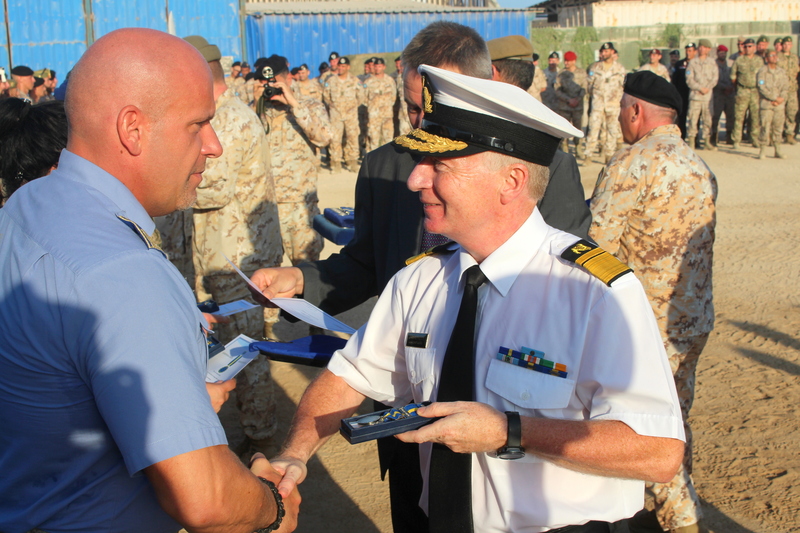 Receiving a Common Security and Defence Policy (CSDP) medal is an important moment for personnel deployed in Somalia as it is a sign of appreciation of the EU for the time served in working with Somali colleagues for a better future. 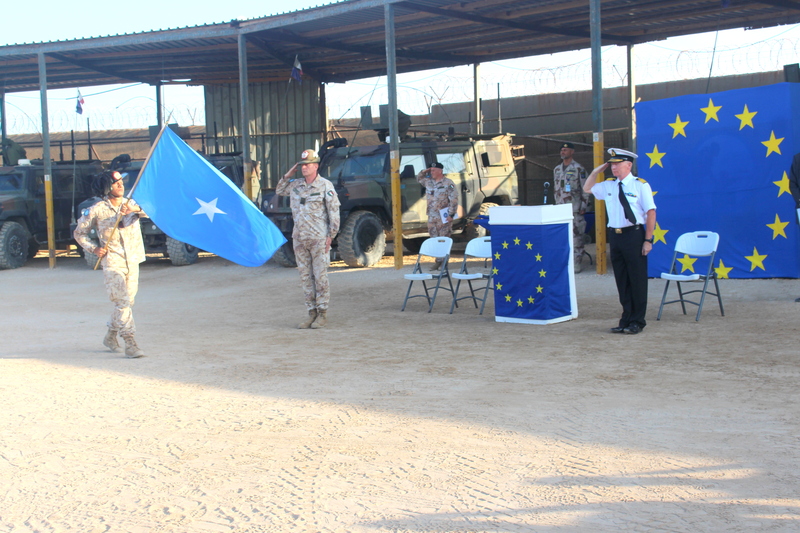 Three EUCAP Somalia Mission members were awarded the Common Security and Defence Policy Service Medal in Mogadishu on March 24th, during a joint ceremony with the “sister” military Mission EUTM Somalia, held in Mogadishu. 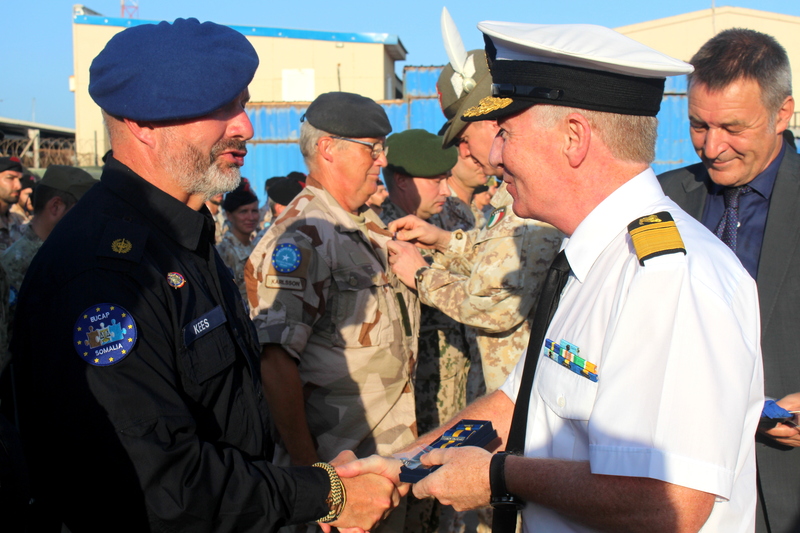 EUCAP Somalia’s Deputy Head of Mission Chris Reynolds awarded the medals to Operational Capability Unit Officer, Cornelis Van Dijk, Senior and Police Adviser Bence Balassa and Police Adviser. Daniela Miteva. 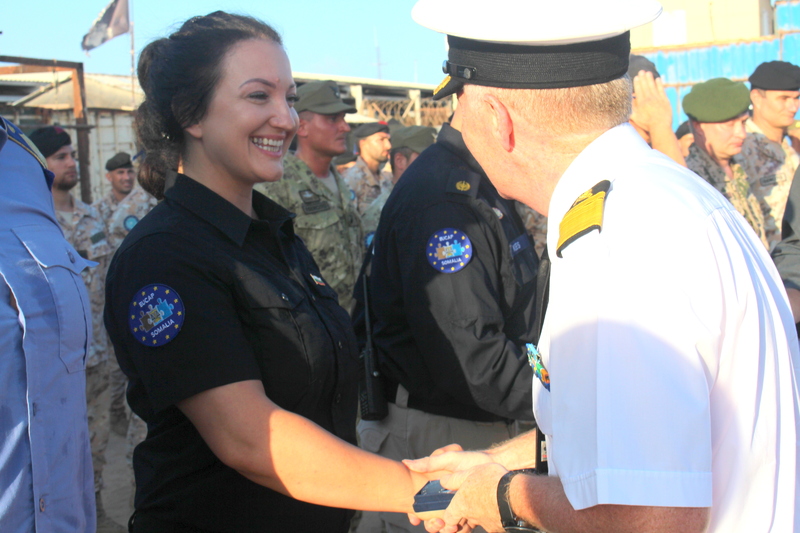 EUTM Commander Matteo Spreafico (also awarding medals military personnel) and Chris Reynolds addressed both civilian and military personnel at the opening of the ceremony. 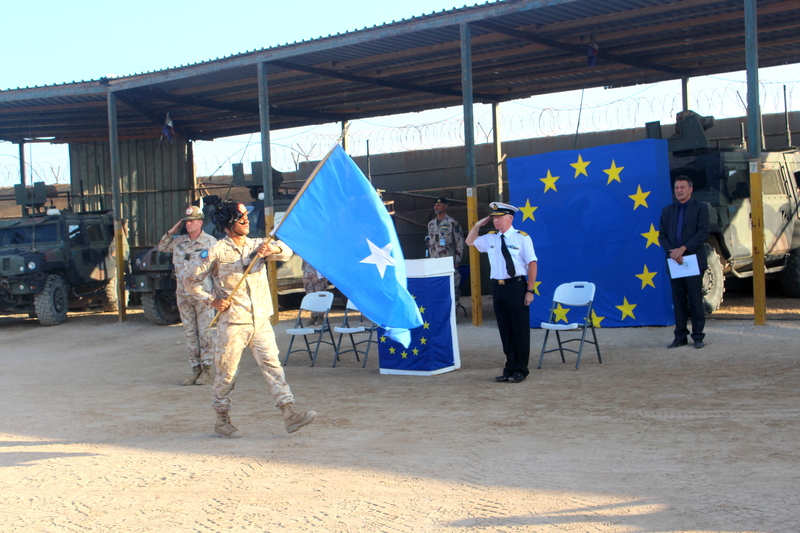 “By awarding the medal, the EU recognises your commitment and engagement for Somalia and its people. 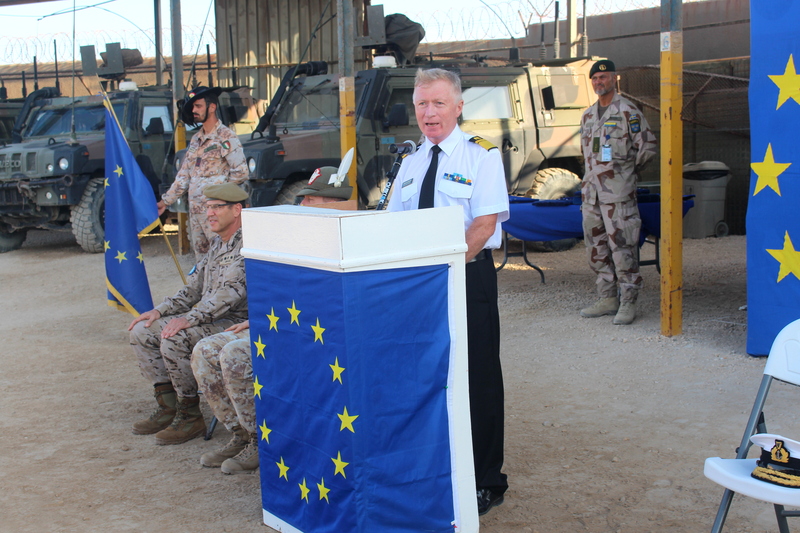 We are all far away from our families and friends and we should think of them today and the sacrifice they make in facilitating our presence here” said the EUCAP DHoM, adding: “Because of you the Mission has made good progress in security capacity-building in Mogadishu, Somaliland and Puntland in coordination with the EU family present in Somalia, and its partners from the UN, US and AMISOM. Even in this difficult environment our advisers go out daily in Mogadishu, Garowe, Hargeisa and other locations, despite the ever present dangers”.